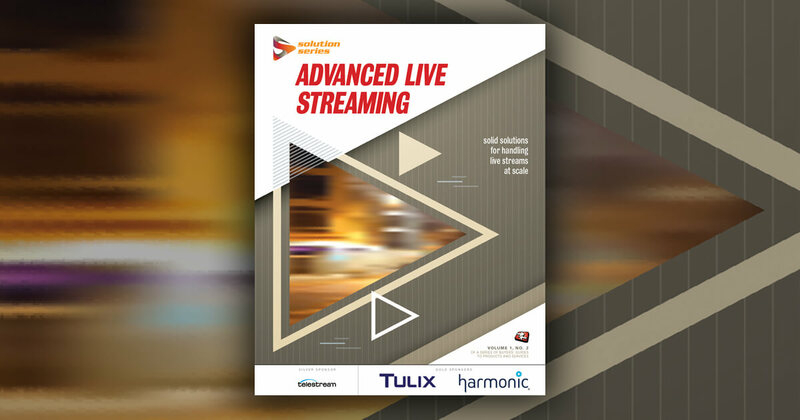 Learn more about AI and content delivery at Streaming Media's next event. Watch the complete video of this panel, AI101: From Content Creation to Delivery: How AI is Impacting Modern Media, in the Streaming Media Conference Video Portal. Jason Hofmann: At Limelight, our use case is more about the delivery of the content because generally speaking, if we changed our customers' content, they wouldn't be very happy with that. We tend to get out of that business and optimize the delivery of that content for various things--for quality, as well as also to ensure efficiency and scale. To keep up with the price compression in the CDN industry, you need to get 20-30% more efficient every year just to keep your head above water. It's an engineering challenge. If you think about it, every piece of content is a little different from a cost profile to deliver. It's why when you look at CDNs that let you sign up for services, self-service, there's always a GB fee and a request fee because those things have fixed costs, and a tiny object costs a lot more to deliver than a bigger object. If you charge GB for everything, you're going to lose money. We needed to model that, and we spent a number of years modeling that by hand and saying, "Well, based on our experiments on a typical server and in lab, a request takes about the same amount of CPU to process as delivering 32 KB worth of data. We'll just use that as a fudge-factor estimate." It turns out that in the real world every server is different. You could have a server with hyperthreading turned off because it's on a legacy CPU that maybe had issues with it. You could have a server in a highly regulated data center in France where you get a noise complaint. You need to slow the fan speed down, so you need to turn off turbo on the processors. You could have a server that is very powerful, but because you are now doing a lot more out of that server than you did when you bought it because of the software engineering gains you've gotten over the years, that server only has dual 10 gig NICs, but it's capable of pushing more than 18. Now the NIC is the bottleneck. You can see that the problem space expands. There is no such thing as a typical server anymore. In a company with tens or hundreds of thousands of servers, every server might have a different breaking point and might have a different sweet spot. If you're trying to target the best possible quality, you don't want to push a server to its breaking point. To figure out every server's sweet spot, what's the old way of doing it? Get every permutation of every kind of server and put it in a perf lab, and load-test it. Then you're missing another element of the equation, which is that at peak hours in London we might be doing more Sky Sports and home.bt.com website images, but at peak hours in New York we might be doing a lot more Prime Video than anything else. Now that's a different traffic mix. The server is going to behave very differently. One server might hit its breaking point or its peak operating point at 38 Gbps, and in another market it might hit it at 22 because it's dealing with smaller objects and non-cacheable objects, and more complex rules at the edge. We applied machine learning to figure out every server's sweet spot, not just in the moment but two weeks in advance because if you make decisions in the moment and reroute traffic to another server, all of a sudden that server is a cache miss and you're disrupted. The idea is to figure things out, figure things out in advance because traditional load balancing techniques of when a server hits a high watermark, drain traffic and put it on another, don't work very well in a caching context because any time you drain traffic away from server A to server B, you're now exposing server B to new content it's never seen before, and you're putting load on the customer. Ideally, you want to never let server A go past the sweet spot, and you want to try to make that decision days or weeks in advance. That's how and when we started using machine learning. Limelight's Jason Hofmann, Citrix' Josh Gray, and REELY's Cullen Gallagher discuss best practices for training AI systems at Streaming Media East 2018. Google's Matthieu Lorrain cautions of the risks of doing AI for its own sake in this clip from Streaming Media West 2018. RealEyes Director of Technology Jun Heider discusses the importance of internal self-assessment and which use-case elements to consider when choosing a platform for video AI in this clip from Streaming Media East 2018. Video: Who Are the Key Players in Video AI? RealEyes Media Director of Technology Jun Heider identifies the key players in the AI platform space in this clip from Streaming Media East 2018. RealEyes Director of Technology Jun Heider outlines the first steps in choosing an AI platform in this clip from his presentation at Streaming Media East 2018. Microsoft Principal Product Manager Rafah Hosn makes the case for reinforcement learning as a machine learning paradigm for content personalization in this clip from Streaming Media East 2018. Microsoft Principal Product Manager Rafah Hosn discusses the benefits and limitations of a content personalization strategy based on supervised machine learning in this clip from Streaming Media East 2018. Microsoft Principal Product Manager Rafah Hosn explains how Microsoft's machine learning-driven decision services helps brands target viewers and increase engagement in this clip from Streaming Media East 2018. Comcast Technical Solutions Architect Ribal Najjar discusses how operationalizing commonalities between QoE and QoS metrics to deliver a "super-powerful" dataset in this clip from Streaming Media East 2018. Video: How Do We Define Quality of Experience for Streaming Video? Comcast Technical Solutions Architect Ribal Najjar defines video QoE both in terms of subjective experience and qualitative measurement in this clip from Streaming Media East 2018. IRIS.TV CEO & Co-Founder breaks down discusses IRIS.TV's approach to helping traditional media companies capture and leverage audience data and machine learning in this clip from Streaming Media East 2018. Gannett Senior Director Kara Chiles discusses how USA Today leveraged IRIS.TV and data to localize and personalize their Winter Olympics 2018 coverage in this clip from Streaming Media East 2018. ZoneTV's Tom Sauer describes how machine learning can be used to overhaul the TV world and deliver more individualized experiences in this clip from Streaming Media East 2018. REELY CEO Cullen Gallagher makes the business-growth case for content owners developing an AI strategy in this clip from Streaming Media East 2018. IBM Watson Media's David Clevinger discusses how media entities are currently using video AI in this clip from Streaming Media East 2018. Citrix Principal Architect Josh Gray explains how video enables higher-acuity metrics analysis in this clip from Streaming Media East 2018. Citrix' Josh Gray provides tips on AI model development and Reality Software's Nadine Krefetz and IBM's David Clevinger speculate on the possibilities of metadata-as-a-service in this clip from Streaming Media East 2018. Video: How Will Machine Learning Impact the Media Supply Chain? Google's Leonidas Kantothanassis explores the vast range of applications for machine learning in the media workflow and supply change in this clip from his Content Delivery Summit keynote.